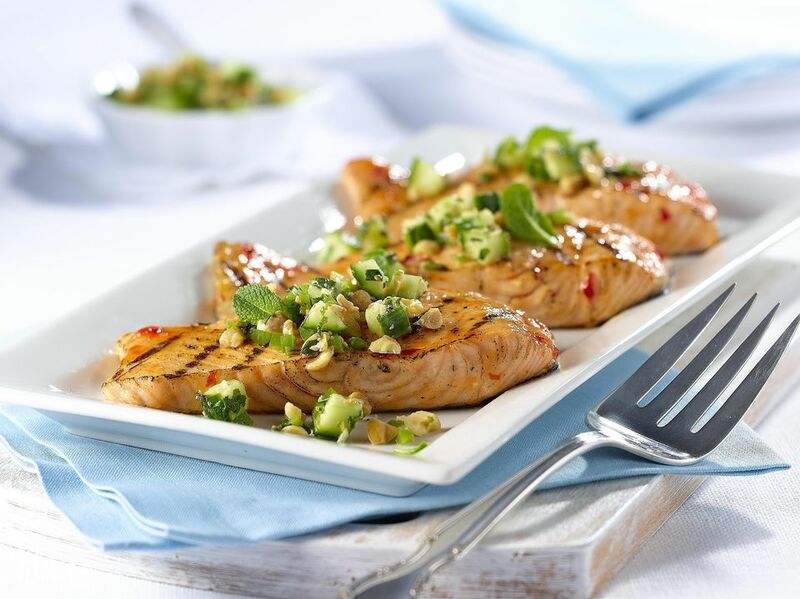 This soy ginger salmon recipe is a great example of how just a couple ingredients are all you need to create a great fish dish. If you want fast, easy, and tasty salmon, give this Asian-inspired recipe a try. Add the ginger, garlic, rice vinegar, brown sugar, and soy sauce into a small bowl, and mix to combine. Pour the mixture into a shallow dish, large enough to fit the salmon filets. Place the salmon filets into the dish flat side up (what was the skin side) and the rounded side down. Let soak for 10 minutes.Add the vegetable oil to a non-stick skillet, and preheat on medium flame. When hot, remove the salmon from the marinade (reserve marinade), pat dry with a paper towel, and cook the salmon for about 4 minutes per side. Turn off the heat and pour the marinade into the pan. It will bubble in the hot pan and quickly become a glaze you can spoon over the salmon. Transfer the glazed salmon to a plate and serve hot.